The vast majority of cases do not go to trial. That’s why pretrial is so important. It is vital that you hire a Columbus, Ohio criminal defense attorney experienced in the pretrial process. Pretrial procedures can and do refer to many different components of a case. This article will give you an overview of some of the procedures that occur before you get to the trial stage of a case. The most commonly encountered OVI offenses are misdemeanors and are governed largely by the Traffic Rules. Serious repeat OVI offenses receive felony treatment. Felony OVI offenses are charged by means of an indictment and are governed by the Criminal Rules. At arraignment, two things happen. The Court will read the charges against you and you enter a plea of guilty or not guilty. If you plead not guilty, you will have an opportunity to review the prosecution’s evidence and defend yourself against the accusations. You will also have a chance to appeal any Administrative License Suspension. Unlike the Criminal Rules, the Traffic Rules provide that some motions must be made before a plea is entered. Failure to make the motion in a timely fashion may constitute a waiver. As a result, counsel should consider any motions that should be made prior to arraignment if a plea of “not guilty” is to be entered. (2) Defenses and objections based on defects in the complaint (other than failure of jurisdiction or failure to charge an offense, which shall be noticed by the court at any time). (1) Motions to suppress evidence, including but not limited to identification testimony, on the grounds that it was illegally obtained (in Ohio, objections to the admission of the results of chemical tests must also be included in the motion to suppress). (2) Requests and motions for discovery. (3) Motions for severance of charges. Pretrial hearings provide criminal defense attorneys an opportunity to discuss your case with the prosecutor. 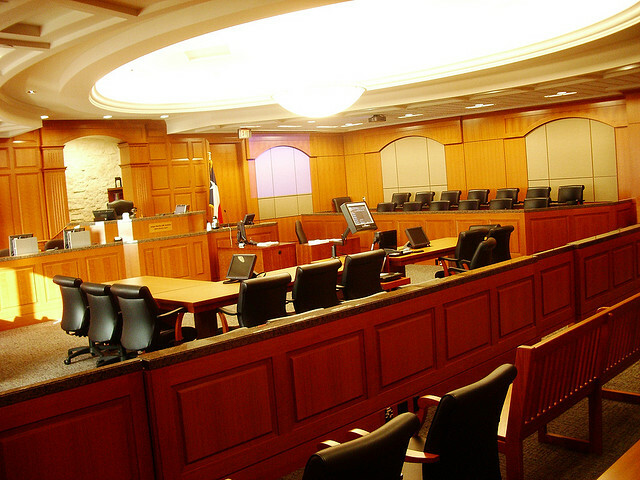 Pretrial hearings occur after the parties have gathered evidence, or discovery. The value of evidence already gathered is generally discussed. At a pretrial hearing, there may be a plea negation. If the parties agree on a plea, then the defendant may enter into a plea agreement. The plea agreement could be to a lesser offense. Motions hearings give the Court a chance to consider certain aspects of the case. At a motions hearing, the Court will consider defense motions to suppress evidence. Through pretrial motions, a Columbus, Ohio OVI defense attorney can challenge the validity of the evidence the government has compiled against you. It is important to have an attorney with knowledge about the specifics of blood alcohol and drug tests. Here, an attorney can challenge the accuracy and use of these tests. The grant of a pretrial challenge to a chemical test could destroy a prosecutor’s case. At The Maher Law Firm you can avail yourself of an experienced DUI/OVI attorney in Columbus, Ohio. Colin Maher understands the importance of the pretrial process and he will help you put your best foot forward from the beginning of you case. The pretrial process provides an important opportunity for you to get the results you deserve. If you were recently arrested for an OVI and have questions or concerns regarding your situation and your rights, please contact us today for a free consultation.